Waiter . 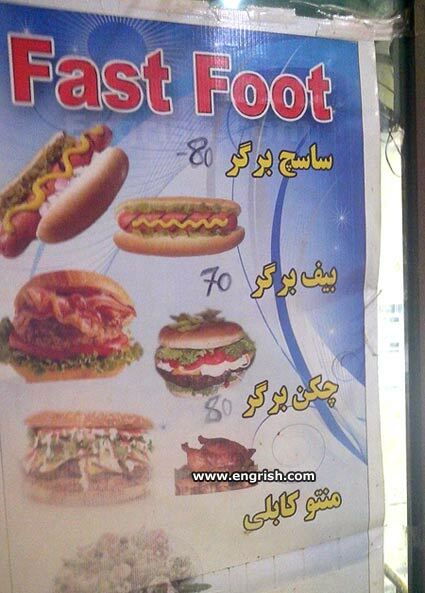 . . A foot-long Fillet of Sole Burger with plenty of toe jam, please ! I would guess the location is most likely Iran. The writing is clearly Farsi.